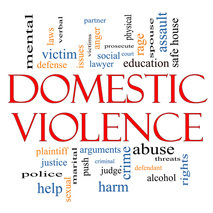 What is a Domestic Violence Protective Order? A” DVPO” or “50-B” is a Civil Order (not criminal) that is usually granted ex-parte (without notice) on a temporary basis until a full hearing can be held usually within ten (10) days. To apply for a DVPO the parties must have a personal relationship, but do not have to live together. Although a DVPO can be a legitimate and necessary instrument a DVPO is often a weapon used by one party to evict a spouse from the martial residence, for leverage in a family law case involving child custody or alimony, or to set up criminal charges. A DVPO is usually granted for one (1) year if extended at the full hearing. Violation of a 50-B Order is a Class A1 misdemeanor punishable by 150 days in jail. A DVPO is usually one-sided, meaning the Plaintiff can contact the Defendant, but the Defendant can’t contact the Plaintiff. A Plaintiff also can’t give the Defendant permission to violate or ignore the provisions of a DVPO. Even if you never wish to communicate with the other party again you should at least contact an attorney because often there are other issues at play such as criminal charges, child custody, or property distribution. A DVPO is like a giant anvil dangling over the head of the Defendant ready to drop whenever the Plaintiff decides to make new allegations. A Defendant is not entitled to a court appointed attorney to defend against a DVPO due it being a civil and not criminal proceeding. Witt Law Firm, P.A. represents both those seeking and defending a DVPO. Call us to protect your rights.